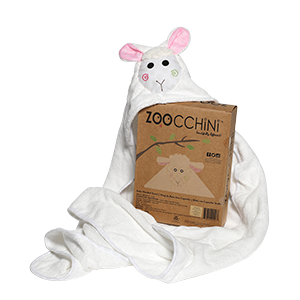 Your little one will now look forward to bath time with our Hooded Animal Towel by ZOOCCHINI! 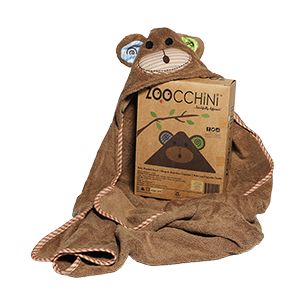 This soft and warm cotton terry towel can cradle your favourite toddler and keep them dry after bath time or swimming lessons. The attached hood will keep your little one’s head warm and dry off their hair. The towel is bound around all the edges and the hood is lined with soft jersey for additional warmth and comfort. 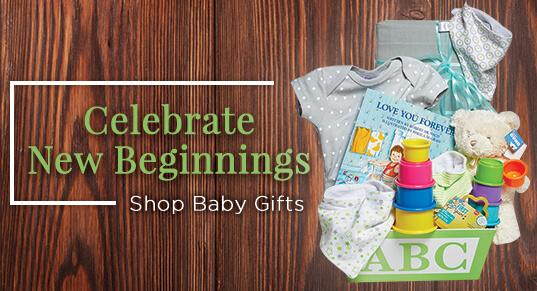 This towel is also machine washable and dryable so reusing it is a breeze! This towel is available as an Elephant, Sheep, or Monkey!